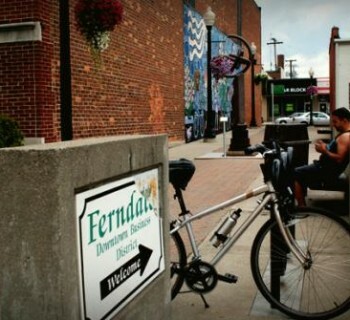 FERNDALE, Mich.—Lesbian, gay, bisexual and transgender organizations from across Michigan are teaming up to organize a statewide bike ride to raise funds and awareness for LGBT equality issues. The Michigan LGBT Community Center Network, a collaboration of lesbian, gay, bisexual and transgender organizations across the state, is organizing the Shore to Shore Equality Bike Ride Sept. 4-7. 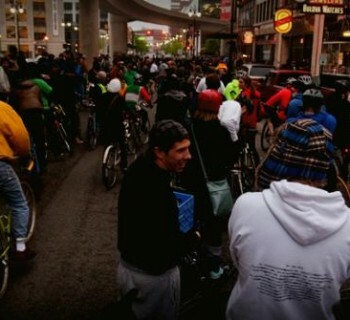 The ride will begin in Ferndale and cross the state through Ann Arbor, Albion and Kalamazoo before ending in Saugatuck. Dave Garcia, executive director of the Affirmations community center in Ferndale, said Affirmations and other participating members of CCN hope to raise awareness on marriage equality in particular. “A lot of my straight friends have been asking me for ways to get more involved, and we think this provides a fun and meaningful opportunity to get involved, it’s also healthy,” said he said. In addition to Affirmations, other participating members of CCN include the Jim Toy Community Center in Ann Arbor, KICK in Detroit, The Network in Grand Rapids, Perceptions in Midland and the Resource Center in Kalamazoo. Garcia said similar bike rides already occur in larger cities like the AIDS/LifeCycle from San Francisco to Los Angeles and Cycle for the Cause from Boston to New York City. Though the Shore to Shore Equality Bike Ride does not focus specifically on AIDS, Garcia said he thought the state could use something similar. “I just thought we should do something in the state of Michigan for equality in general,” he said. 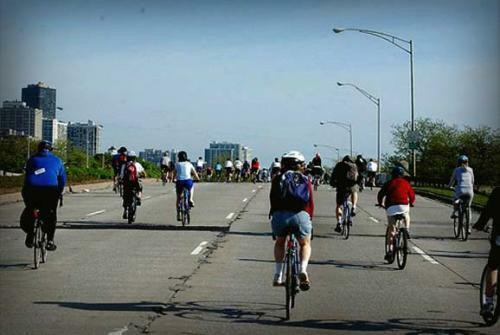 Participants will ride between 45-60 miles a day on paved roads, with the option of taking additional side excursions and will sleep in tented campsites at stops in Ann Arbor, Albion and Kalamazoo. Breakfast, dinner, snacks and evening entertainment will be provided, in addition to SAG support. Riders must be aged 16 or older and minors must be accompanied by an adult. The ride is open to members of the LGBT community and its allies, but will be limited to 100 riders, Garcia said, so organizers can work out any “kinks” during the ride’s inaugural year. As a fundraiser, participants must pay a $100 registration fee and are expected to fundraise $1,000. Riders can choose to ride individually or with one of the six CCN teams. Team members raise money specifically for the community center for which they represent, while individual participants can choose to donate money to a team of their choice or to the general fund which will be divided equally among the community centers. Garcia said, between participant fundraisers and sponsors, CCN hopes to raise at least $125,000. The funds will be spent to continue programming and resources, but will be decided on by individual CCN organizations. KICK Executive Director Curtis Lipscomb said his organization will use the funds to continue providing programs such as conferences, discussion groups and other free on-site services. He said the statewide collaboration will build the strength of the movement and boost visibility for LGBT issues. “We believe from shore to shore from Southeast Michigan to the West Coast, this is a collective effort to show our unity,” he said. Now through August, Affirmations is offering a series of training rides and fundraising/bike maintenance workshops to help people prepare for the ride.